The recent research, led by the Krasileva Group of Earlham Institute and The Sainsbury Laboratory, used phylogenetics (the study of how DNA sequences are related) to identify how these 'bait' genes are distributed throughout various wild and domestic grasses, including important crop plants such as wheat, barley, maize and rice. This fresh evidence could help scientists and breeders especially in arming crop plants against a swathe of emerging diseases. By looking at the genetic history of these plants, the team found several interesting groups that gravitated towards forming novel fusions with plant receptors, which were most diverse in the wheat crop. These proteins are involved in plant stress responses in general, particularly in defense against pathogen attack. "If we could understand better how these proteins with these additional 'integrated' domains were formed during recent evolution, then there is a good chance that we could engineer genes with specific domains to provide resistance to new types of pathogen attack," says Paul Bailey, lead author of the study who performed the phylogenetic analysis. The research team are primarily interested in bread wheat due to the complexity and size of its genetic makeup, as well as eight other grass species' genomes. 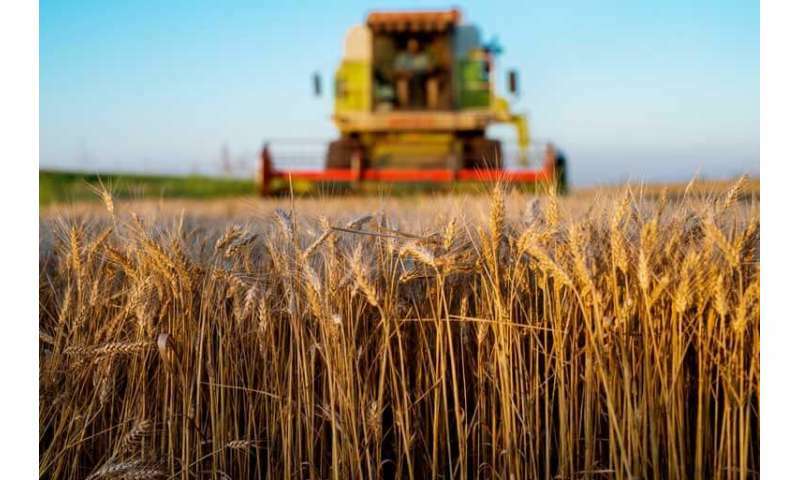 Advancements in such genome sequencing have enabled the scientists to make comparisons of gene similarity between closely related species - wheat and barley, for example - and more distantly related species such as wheat and maize. "We were intrigued to find that even between closely-related species, there can be significant variability between the type of fusion events that have occurred, indicating that the process is still active and ongoing in these plants," added Paul. Plants have an immune system that helps them recognise a range of pathogens, but they have to keep up with enemy fire that is perpetually evolving and constantly adapting new ways of getting around a plant's primary defenses. However, certain plant pathogen receptors known as 'NLR' proteins have been shown to be able to recognise some of the signals associated with disease-causing agents. By acquiring sections of proteins coded by other genes, which are often the target of pathogen infection, NLRs act as an 'integrated defense decoy'. Dr Ksenia Krasileva, who led the project, added: "When plants are able to evolve rapidly, they can respond to pathogens working their way around other defenses. Uncovering how plants stay healthy is still a challenge. This paper is a result of a successful collaboration of several genomics experts, including our group, Dr Matthew Moscou at TSL and Dr Wilfried Haerty at EI. Together, we uncovered one of the tricks plant use which will help to generate resistant crops." Plant pathogens are continually evolving, but in the future, the research team hope to be able to generate novel proteins with specifically integrated domains that give resistance to pathogens, particularly new threats to our crops. "Dominant integration locus drives continuous diversification of plant immune receptors with exogenous domain fusions" is published in Genome Biology, BioMed Central. Working on Genes in Multiple Ways and seeing their effect on morphology and metabolism is needed. ALL Organisms, Whether plant or animal start at 1-cell stage. So, Try to mix up their genes 1 by 1 diligently to collect the data. So many Fish. So many Birds. So many Lizards. So many Snakes, What Not. The List is Endless. It is Imperative that We Start Acting God IMMEDIATELY OVER The FEEBLE NATURE Around us ! "If we could understand better how these proteins with these additional 'integrated' domains were formed during recent evolution, then there is a good chance that we could engineer genes with specific domains to provide resistance to new types of pathogen attack,"
"the research team hope to be able to generate novel proteins with specifically integrated domains that give resistance to pathogens"